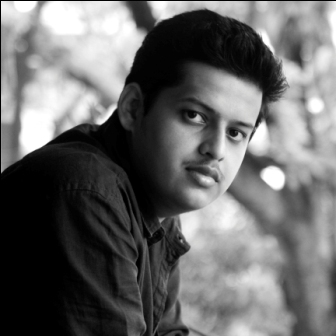 Chaitanya Tamhane's accomplished 'Court' won awards for best film and direction. Chaitanya Tamhane’s Court, which won two awards, a special mention and heaps of praise from the audience at the recently concluded Mumbai Film Festival, is among the fortunate few Indian features that hit the ground running and hasn’t stopped since. Twenty seven-year-old Tamhane’s expertly calibrated debut topped the best director and best film categories in the International Competition section, beating other first features from foreign filmmakers. The accomplished 116-minute drama, which centres on hearings regarding the prosecution of a radical Dalit poet and singer, also picked up a "special jury mention" for its mostly non-professional cast. Tamhane wrote Court in 2011 and completed it in 2013. It premiered at the prestigious Venice Film Festival earlier this year, where it picked up the Lion of the Future Award for the best first feature as well as the top prize in the non-competitive Horizons category. Court has an international distributor, Memento Films, but no Indian company has asked for domestic rights just yet – though that might change with the MFF gongs. What Indian distributors will make of the multi-lingual movie (it has dialogue in Hindi, Marathi, English and Gujarati), its stately pace, minutely observed situations, muted acting and subtle yet unmistakable political subject, is another story. Court is a remarkably assured, engrossing study of the power of the law and order machinery to crush protest through delays, deferred hearings and demands for further evidence. Tamhane’s screenplay draws from real-life incidents and characters. In the film, radical Dalit poet and singer Narayan Kamble’s is arrested after being accused of performing an incendiary song that pushes a sewer cleaner to suicide. Court stands at the rim of the sewer, looking curiously into it, never descending into its depths, but never quite moving away from the stench either. Mainstream cinema has reduced the legal drama to a farcical fantasy of instant justice, populated by gavel-banging judges, aggressive defence lawyers, and crooked public prosecutors. Saeed Mirza’s Mohan Joshi Haazir Ho and Hansal Mehta’s Shahid were rare realistic depictions of the workings of the judiciary. Court’s vocabulary brings it in line with contemplative international arthouse storytelling conventions, particularly from Taiwan and Thailand. Much of the film takes place inside courtrooms, where the legal process unfolds languorously. But Tamhane also cuts to episodes from the lives of the other people involved in the case – the public prosecutor, who cooks for her family and discusses the wonders of olive oil on her train journey home, the pro bono defence lawyer, who can seek refuge in jazz and chic lounge bars, and, the judge, whose private vacation provides the movie with a masterful coda. Court goes over ground previously explored with insight and rigour by Anand Patwardhan in Jai Bhim Comrade. In fact, Tamanhe's film was written in the same year that the veteran documentarian wrapped up a 14-year project on Dalit protest music and poetry. Jai Bhim Comrade was triggered by the suicide of Vilas Ghogre over the desecration of a statue of Dalit icon Bhim Rao Ambedkar in the Ramabai Nagar slum in north-east Mumbai. The incident triggered off violent protests and pushed Ghogre to hang himself. Ghogre’s ghost hangs over the lokshahir, or folk poet, character of Narayan Kamble, while Ghogre’s real-life comrade, the Dalit activist and singer Sambhaji Bhagat, lends Kamble his voice. The accusation that Kamble is formenting unrest through his critique is also a reminder of the cases filed by the Maharashtra government against members of the radical cultural group Kabir Kala Manch. Court also contains references to the trials of human rights activists Arun Ferreira and Vernon Gonsalves, both of whom were jailed on charges of being Naxalites and later freed. Gonsalves’s wife, the lawyer Susan Abraham, was one of several human rights advocates whom Tamhane consulted and interviewed for the movie. Abraham introduced Tamhane to the actor who plays Kamble. Vira Sathidar is a human rights activist and editor of the radical Nagpur-based publication Vidrohi, and only one of several first-time and non-professional actors who appear in Court. Vivek Gomber’s defence lawyer and Geetanjali Kulkarni’s public prosecutor are the best-known names in a cast that includes two members of a senior citizens’ group in Mumbai's Poisar suburb (they play the defence lawyer’s argumentative parents), a music teacher and composer (Pradeep Joshi as the judge) and a woman from a slum in the Dahisar suburb whose sewer cleaner's spouse died just like the husband of the character she plays in the movie. Artifice helped create the illusion of verisimilitude, which extends beyond the choice of locations that reflect the varied socio-economic backgrounds of the characters. People who seem to be randomly crowding the edges of the frames were actually placed there, Tamhane said. “It was not a guerrilla shoot, so we needed to clear the locations and design them from scratch,” he said. “Everything in the movie was designed.” Every location was real, except the courtroom. Every single line of seemingly spontaneous conversations was scripted, and there was no improvisation. The universe of Court might have been manufactured, but it is one that actually exists. Court is, like Anand Gandhi’s Ship of Theseus from last year, an authentic Mumbai movie. It superbly places on the screen the cultural, social and economic markers of the network of human rights lawyers, activists, poets, artists and filmmakers who are as much of a part of the city’s post-Independence history as its parochial politicians and conservative law keepers. Simmering beneath the everyday banter of the characters is the reflection of an anti-establishment position that is forever under attack, more so in recent years as anxieties grow over the ability of over radical leftist groups to steer the country away from its chosen market-friendly model of economic development. “The political themes were hard to ignore when I was researching the movie, and in case, all art is political, even the decision to make a mindless comedy,” Tamhane said. If one sequence sums up the battle between the patient republic and its discontents that is raging off-screen, it is one in which the public prosecutor reads out an entire chargesheet from start to finish. The state can afford to wait. So can cinema.